With its likely unveiling less than 48 hours away, an alleged press shot of HTC's long rumored 5" smartphone has emerged. When official, the Taiwanese Android powerhouse will likely be called HTC One X 5. 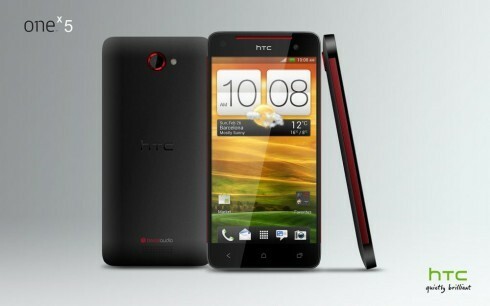 The rumored specs of the HTC One X 5 include a quad-core Snapdragon S4 Pro chipset and a 1080p display. If this is the case, the handset will easily top the current crop of Android top dogs. The device in the press shot also looks a lot like the one which leaked out in a blurry image a couple of weeks back. We will likely find out all about the new device at HTC's event in New York City this coming Wednesday. We will be covering it live from the spot, so be sure to stick around. Apple is full oh $#!+! They think they're the best? Where do you think they got the idea for siri? Google has that capability since HTC released the very first android phone which is the HTC G1 from T-Mobile.